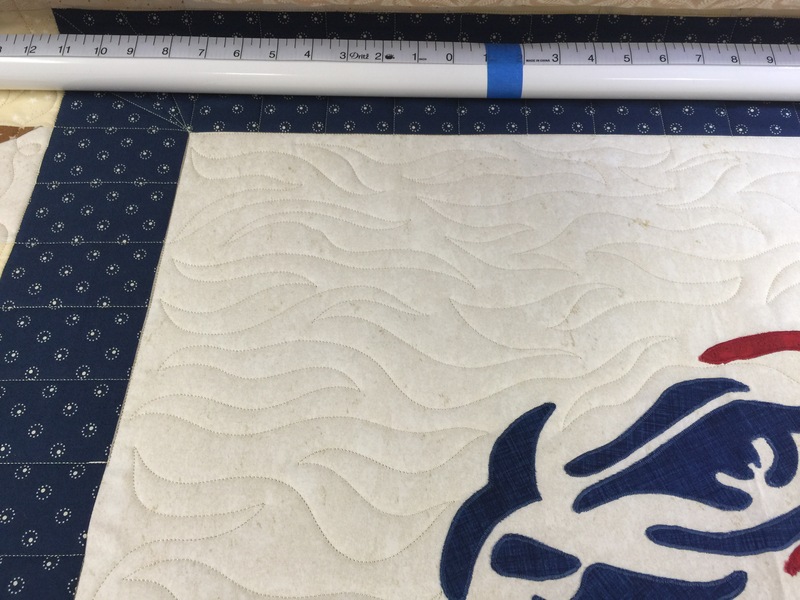 I finally decided how I wanted to quilt this and now I’m making good progress. 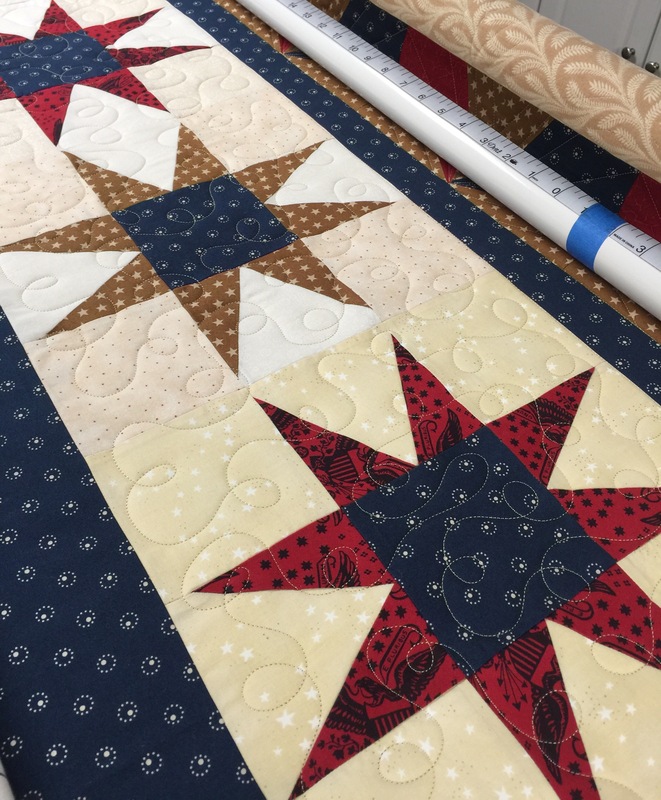 Your quilting like the perfect touch for this Quilt of Valor. Perfect choice! You nailed it! 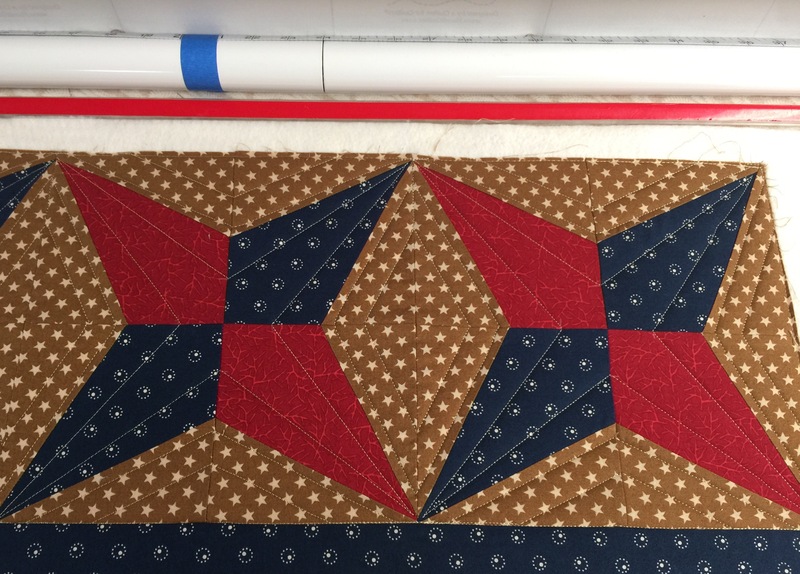 Pretty Pretty and beautiful quilting! Love the quilting and the quilt. Very nice. These colors and fabrics are beautiful together. It looks really good. Is that ruler work in the top pic, or freehand straight lines? They look great!